This subspecies is characterised by the missing ornamental design of the lip which is only vaguely divided. The spur is strong and bent upwards at the end. As with other subspecies of morio the sepals are marked by green veins. The plant was first described as Orchis syriaca by the Swiss botanist Pierre Edmond Boissier (1810-1885) in his Flora orientalis (1882). 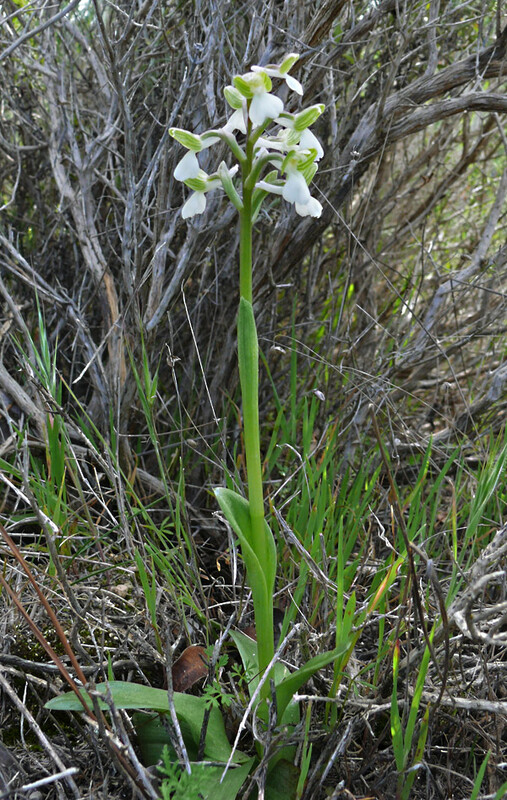 Following the results of genetic research, Richard M. Bateman put the plant to the genus Anacamptis, as Anacamptis syriaca (1997). 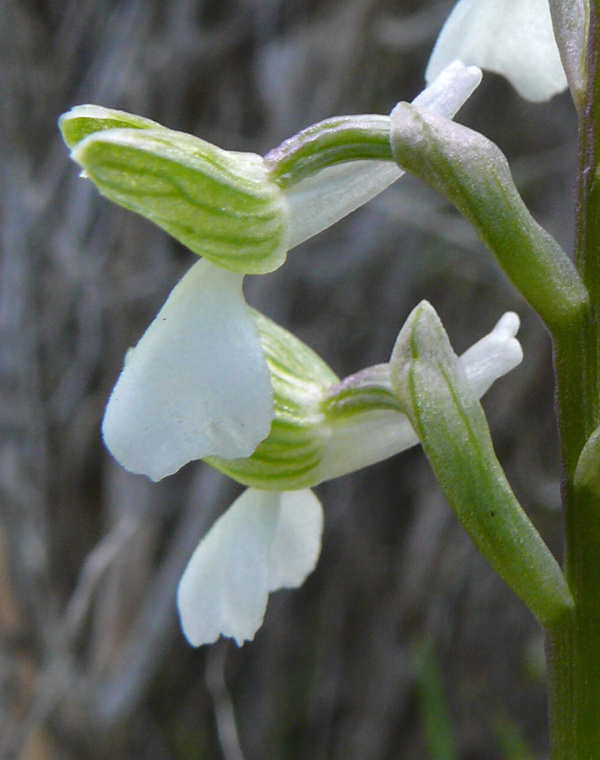 H. Kretzschmar, W. Eccarius and H. Dietrich conceive syriaca as the oldest form of Anacamptis morio, developping geographically from East to West, and define the plant as Anacamptis morio subsp. syriaca. 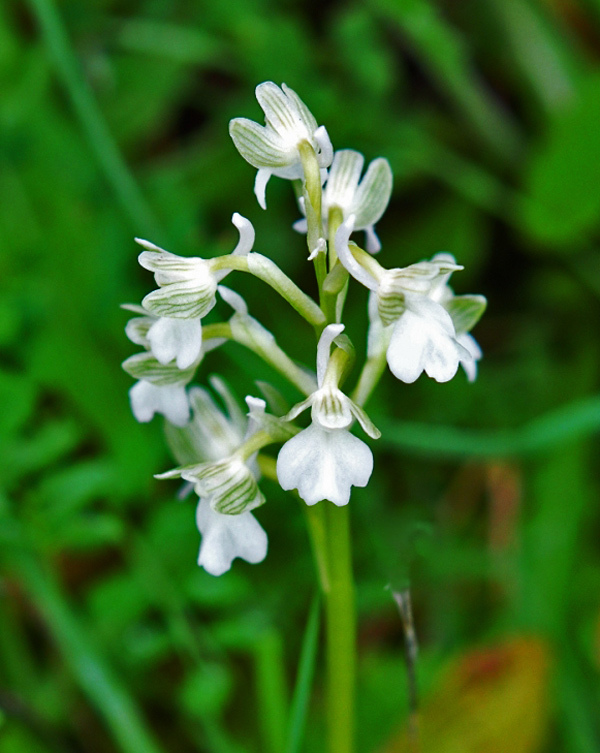 With this subspecies, the frequency of white flowering plants is obviously much lower than with Anacamptis morio subsp. morio. H. Kretzschmar, W.Eccarius und H. Dietrich (Die Orchideengattungen Anacamptis, Orchis und Neotinea. Bürgel 2007. S. 145) note, that “albinotic exemplars” are quite rare. Anacamptis morio subsp. syriaca lives on dry grassland, meadows and pastures on calcareous soils, from Southern Turkey to the coastal regions of Syria, Lebanon and Israel. Bloom is from February to April.